Widening communication gaps between citizens and governments in Nigeria are likely to be creating a room for fake news to thrive, Nigerian University Don, Chris Kwaja says. Government's reserved communication and excessive control of public media outfits for amplified public images has over time reduced public trust in official sources of information, Dr. Kwaja said. Speaking at a workshop on Understanding and Responding to Fake News Exacerbating Fears and Insecurity in Nigeria, organized by the Centre for Information Technology and Development (CITAD) currently holding in Abuja, the US Peace Institute's Security Adviser described fake news as 'matter' which "has weight and can occupy space." He said, "The moment there is a vacuum, fake news sets in to fill it. "The disconnect between government and citizens has created that vacuum for fake news to thrive." Regretting that humans perceive messages based on their relationship with the content rather than its merit, Mr. Kwaja said, "Fake news thrives on the availability of a gullible population" which is often the making of government. 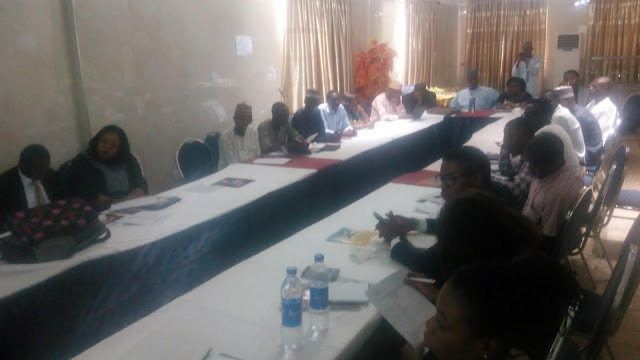 The Senior Lecturer and Researcher at the Centre for Peace and Security Studies, Modibbo Adama University of Technology (MAUTECH), Yola, Adamawa State, Nigeria explained, "Because people can no longer trust government sources, they resort to alternative sources thereby falling victims of fake news media." Fake news according to CITAD is a deliberate act to deceive or manipulate the feelings of a given population through the use of imaginary information. The Executive Director of the Kano based NGO, Mr. Y Z. Ya'u said at the workshop, fake news goes beyond the use of text, but also visual images and graphics. Checking the spread of fake news and hate messages is therefore central to the success of any society, he said. Verifying the source of every information and tracking the source of influence of hate speakers according to him is however key to fighting fake news and hate speeches and their negative consequences in the society. The workshop has participants drawn from different parts of Nigeria with seasoned facilitators from different works of life.